Use the form on the right to contact us. For product questions, a link to the exact product in question will allow me to respond much more quickly and accurately. Organic skincare and bath and body and herbal skincare products. Natural lifestyle and parenting blog. Find out about upcoming events that Purely Essential will be attending! Find unique holiday gifts while supporting local artists and artisans. More than 25 thoughtfully selected vendors present fine art, hand-made clothing, jewelry, home goods, gourmet food, pet items and more. Get into the holiday spirit with delicious spiced wine, cider and gourmet food truck fare. Children’s tours and crafts plus SANTA on Sunday! More details to come at hillstead.org. FREE admission to Boutique, regular admission rates apply to house tours around the historic property (FREE with Membership). Come explore the Farmington Polo Grounds while you browse over 300 local, small businesses May 14 & 15th from 11-6 at the Made in Connecticut Expo. 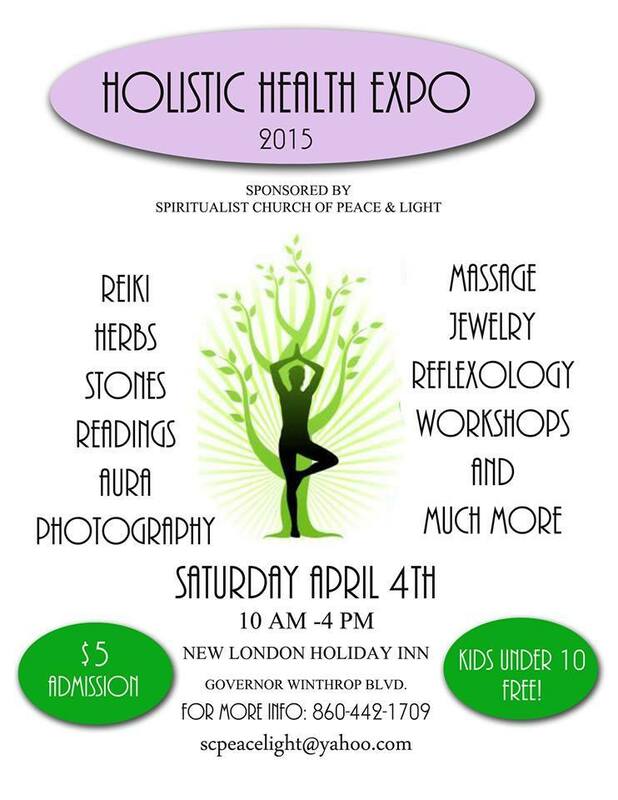 Purely Essential's first major show planned for the spring will be the Holistic Health Expo hosted by the Spiritualist Church of Peace and Light on Saturday, April 16 from 10-4. I look forward to seeing everyone there! Please note that this flyer is from last year. The location and time are correct, but the date is not. The correct date is April 16th. Come on down to First Friday in Norwich, CT this Friday as we remind everyone what the Rose of New England has long been known for: Its vibrant culture! Enjoy music, art galleries, great food, and great local vendors! Come get your Mother's Day shopping done with some amazing vendors! Come test out our new scent sticks in person! Come on out and join us and over 40 other vendors at a fantastic event for a great cause! There will even be face-painting, a clown, cotton candy, and a silent auction! To get a peek at some of the vendors visit the facebook event! Bring the kids to check out the firetrucks and get some shopping done for the holidays! active, as well as cable shovels, backhoes, dozers and more in our sandpit.  See our new Woodworking building! I will be set up at Small Potatoes in Norwich for their monthly craft and tag sale. Come on down and stock up! Fall Wellness Experience hosted by Small Potatoes Crafts & Gifts. Come for amazing food and beverage samples, complementary treatments by practitioners of INCITE Wellness Center, music, specialty shopping and more! If you've been to one of our events before you know you won't want to miss this one! I will be set up at Small Potatoes in Norwich with all of our lovely goodies!